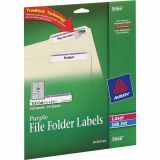 Avery Permanent File Folder Labels, TrueBlock, Inkjet/Laser, Purple Border, 750/Pack - Create professional-looking file folder labels for easy and quick file identification. 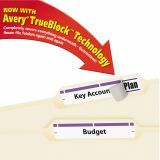 Labels with TrueBlock completely cover everything underneath so you can reuse mailing tubes, boxes and more. 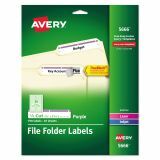 Bright white labels have permanent adhesive that sticks without lift or curl. 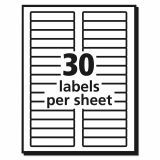 Each sheet of labels is acid-free, jam-free and smudge-free. 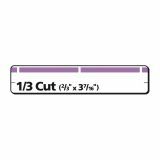 Each sheet has labels sized to fit 1/3-cut tabs. 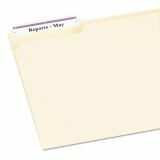 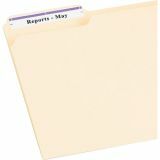 File folder labels are compatible with inkjet and laser printers. 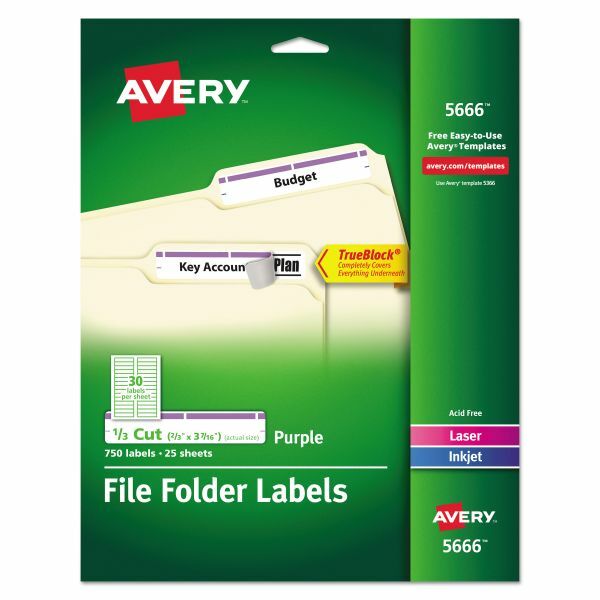 Avery offers many easy-to-use templates for Microsoft Word and other popular software programs.